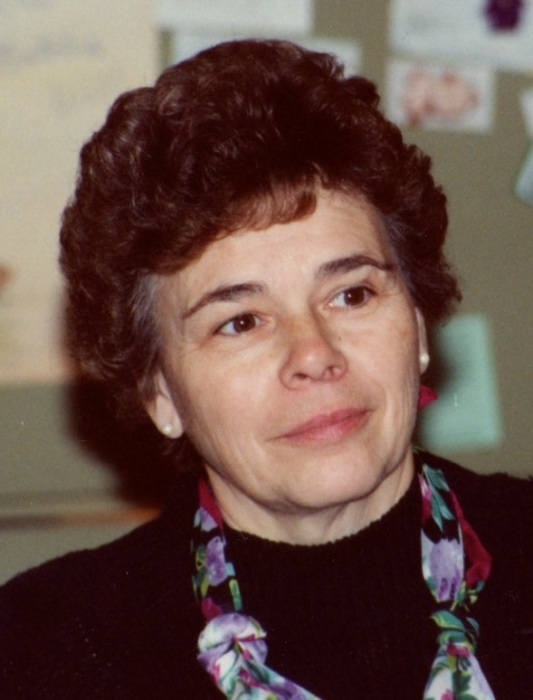 Dorothy Elaine Tuholski, 81, passed away Sunday, April 14, 2019, at 11:30 am in her home surrounded by her husband and eight surviving children. She was born in LaPorte, Indiana, on December 27, 1937, to Byron and Mildred (O’Hara) Ward. Dorothy was a homemaker and proud to be the mother of nine children. She enjoyed cooking and baking, gardening, traveling, reading, solving puzzles and playing scrabble. Dorothy loved having big family celebrations with lots of food and summers were spent caring for her beautiful yard and flowers. Dorothy was a long-time active member of St. Joseph Catholic Church, Alpha Omicron sorority, and played pinochle in a group every month since 1960. She volunteered with Meals on Wheels and St. Vincent de Paul, and was a frequent blood donor. Together with her husband Richard, she traveled throughout the United States plus Canada, Australia, Germany, and New Zealand. On July 5, 1958, at St. Joseph Church in LaPorte, she married Richard Tuholski who survives. Also surviving are seven daughters Cheryl (Mike) Lynch of Louisville, Kentucky; Jill Tuholski, Gail (Ed) Gemberling, all LaPorte; Terri (Gaylord) Spencer and Patricia (Brent) Harrison all of Woodstock, Georgia; Kay (Clayton-deceased) Younggreen, LaPorte; Tracy (Karl) Bradford of South Bend; and one son Jason (Kaitlin) Tuholski of LaPorte. In addition, she is survived by her siblings Nancy Male of Utah, Helen Brust and Byron Ward, Jr. of Union Mills. She is also survived by grandchildren Nicole, Marcus, Lauren, Dane, Courtney, Emily, Taylor, Amanda, Linnea, Adam, Jacob, Jessica, Sophia, Audrey, Brandon, Nicholas, Matthew, Emma, Averee, Alayna, Gabriel and Grace as well as 11 great grandchildren. Dorothy graduated from Union Mills High School in 1956 and attended Purdue University. She was preceded in death by her parents, son Eugene Tuholski and grandson Kyle Tuholski. Memorial contributions may be made to St. Vincent de Paul and Hospice NWI. Visitation will be held from 4-7 p.m. Tuesday, April 16, 2019 at Frank L. Keszei Funeral Home, Essling Chapel, 1117 Indiana Avenue, La Porte, Indiana, where a Parish Rosary will be recited at 4 p.m.
A Mass of Christian Burial will be at 10 a.m. Wednesday, April 17, 2019 at St. Joseph Catholic Church in La Porte. Family and friends may gather at 9 a.m. Wednesday in the funeral home. Burial will be in Door Village Cemetery.